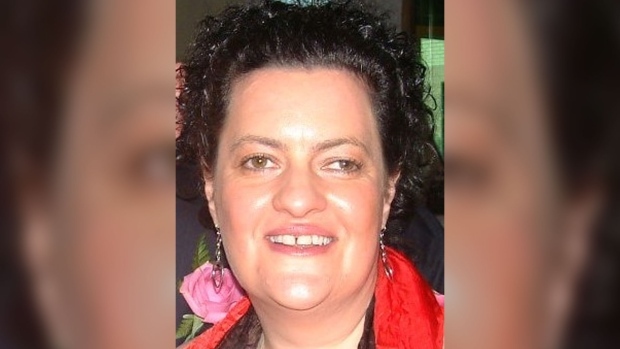 Milena Canning lost her sight 18 years ago after a respiratory infection led to a series of strokes. Researchers at Western University in London, Ont. think they may have figured out how a Scottish woman who has gone blind is still able to see – but only when objects are in motion. The resulting brain injury damaged a portion of her brain at the back of her head, including most of her occipital lobes, which process vision. But just a few months after emerging from a coma, she realized she could see the glint of a sparkly gift bag, describing it as a flash of green lightning. She soon realized she could see other moving things as well. She can see her daughter’s ponytail bobbing when she walks, but not her daughter’s face. She can see rain dripping down a window, but nothing beyond the glass. She can see water swirling down a drain, but not a tub filled with water. Canning’s doctors realized she had developed a rare phenomenon called Riddoch syndrome, a condition in which a blind person can consciously see an object if it’s moving but not if it’s still. In fact, neuroscientists at Western’s Brain and Mind Institute think that’s exactly what’s happening. 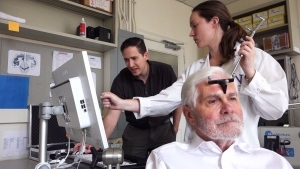 A team led by neuropsychologist Jody Culham conducted extensive mapping of Canning’s brain using functional Magnetic Resonance Imaging (fMRI) to try to better understand her vision. They noticed that Canning could perceive the direction and speed of white balls that were rolled towards her, and could grab or catch them at exactly the right time. She can also walk around chairs or other hazards provided she keeps moving. Yet she can’t identify an object’s colour if the object is not moving. The researchers say they believe that Canning's brain had found ways to adapt to the damaged pathways in her brain that her visual system used, finding different routes to allow her brain to still detect some of what her eyes can see. "In Milena's case, we think the 'super-highway' for the visual system reached a dead end,” Culham said in a statement. “But rather than shutting down her whole visual system, she developed some 'back roads' that could bypass the superhighway to bring some vision - especially motion - to other parts of the brain." Their full findings appear in the journal Neuropsychologia.